ExpressVPN is one of the most comprehensive and quality VPN services available today, balancing speed, security, and features. ExpressVPN is explicitly designed for streaming services, allowing Netflix subscribers and users of other similar services fast connections and low downtime for an affordable price. Additionally, ExpressVPN has an impressive suite of features, an easy-to-use interface that is compatible with desktop computers, iOS, and Android systems, and a private, encrypted DNS system that offers superior security to VPN services that use third-party DNS. If you’re looking for a VPN service that offers great streaming capabilities and are willing to pay top dollar, ExpressVPN is highly recommended. Customers on a budget, however, may want to look elsewhere. ExpressVPN is one of the best services available for those who need streaming capability with their VPNs. Bar none, ExpressVPN has some of the best customer service in the VPN industry. ExpressVPN is an ideal VPN service for those who need streaming capabilities or fast speed, because its ability to do both is unparalleled in the industry. However, due to its high price point, some users may be deterred if they are not in particular need of either. ExpressVPN’s $6.67 per month introductory rate, including three free months and a 30-day money back guarantee, allows users who are cautious about taking the full plunge to try out the service and see if it fits their needs. Bitcoin users will also be pleased with the fact that ExpressVPN accepts Bitcoin as a payment method. However, there are other VPN services like NordVPN that offer just as many features as ExpressVPN (if not ExpressVPN’s speeds) but are considerably less expensive. 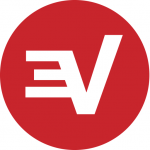 Ultimately, ExpressVPN is an excellent service with good features, an easy-to-use interface, great security, and some of the fastest speeds available in the VPN world. Its support for protocols other than OpenVPN also make it a worthwhile option for niche users who need a VPN for specialized functions. However, if you’re not prepared to pay nearly $100 a year for a VPN and/or you don’t specifically need a VPN that is capable of fast, reliable streaming, you should look elsewhere. TorGuard is a quality VPN service targeted at torrent and peer-to-peer users, as well as anyone in search of speed and privacy when using the web. TorGuard is primarily distinguished from other VPN services by its robust support of torrent programs such as BitTorrent, allowing users to easily share files in anonymity. In addition to this feature, TorGuard has strong, fast performance and an extreme amount of privacy protection, making it a good all-around VPN for both power users and VPN newbies. TorGuard’s major problems are a clunky interface and a lack of specialized features, but given its mid-range pricing, both torrent users and casual users should consider using it. Based in the United States, TorGuard boasts 1,600 servers in 50 locations across the globe, though the company does not make the number of IP addresses it has public. TorGuard is not related to Tor, the free anonymity software, though TorGuard have expressed their support for Tor and make frequent donations to maintain it. TorGuard’s support for torrenting is also a major selling point due to the fact that many VPNs do not allow the use of peer-to-peer torrent programs such as Vuze and BitTorrent. Not only does TorGuard’s basic service allow unlimited peer-to-peer filesharing, it also offers the Anonymous Torrent Proxy package for an additional $5.95 per month. The primary problem with TorGuard is its outmoded interface and apps, which are opaque and possibly confusing for newbie VPN users. TorGuard supports Windows, iOS, and Android systems, but its interfaces for all three are outdated compared to other major VPN services such as NordVPN. While it’s possible to use TorGuard to stream video via Netflix and other services, its slow speed relative to other similarly-priced VPNs means it is far from the best choice. As mentioned in the previous section, TorGuard has a 15-20 percent drop in bandwidth performance compared to a non-VPN connection. While this is faster than budget VPNs such as CyberGhost, it’s not as fast as NordVPN and Private Internet Access, two VPNs that are in the same price bracket as TorGuard. This means that streaming users can expect some buffering when they are watching videos. While TorGuard can certainly perform as an adequate streaming VPN in a pinch, given the presence of faster VPNs such as NordVPN and ExpressVPN, serious streaming customers should look elsewhere for their Netflix needs. TorGuard features average customer support by the standards of the VPN industry. TorGuard’s website features the usual extensive amount of documentation, allowing users to set up and start using their VPNs on their own. TorGuard’s technical support manuals are sufficient for most users, though newbies might find them a bit bewildering. In addition to this, TorGuard has responsive customer service, allowing users who have trouble to obtain help on a timely basis. While there’s nothing about TorGuard’s customer support that will wow anyone, it gets the job done adequately. TorGuard’s primary selling point is its support for peer-to-peer file sharing, which is typically not supported by VPN services. Those who use BitTorrent and other file sharing programs will get extensive use out of TorGuard, and will also benefit from its premium Anonymous Torrent Proxy service. TorGuard’s privacy features also make it a worthwhile option for those who value their online anonymity, as the company goes the extra mile to ensure that its users are secure. The Anonymous Email service is a nice bonus for those who want maximum coverage online. In terms of performance, TorGuard is also worth it for those looking for fast performance. Streaming video customers might be better served by a more specialized VPN such as ExpressVPN due to the fact that TorGuard’s performance lags behind other VPNs in its price range. However, for most customers, TorGuard is fast enough to perform all the functions that the average user will need. TorGuard’s major demerit, aside from having slower performance than comparably-priced VPNs such as NordVPN, is its clunky and confusing interface. Because of this, newbie VPN customers might have a harder time getting the service to work to their specifications. That said, TorGuard is still a worthwhile option for anyone who is looking for a mid-range VPN with robust security features and speed. It’s a definite top pick for torrent users and power users, who will appreciate its BitTorrent-friendly design and surfeit of additional privacy features. TorGuard’s reasonable pricing makes it a viable option for both casual and power users. CyberGhost is a VPN service targeted at consumers on a budget. Unlike most leading VPN services (like NordVPN), CyberGhost offers a free service with unlimited use, though this free service is severely restricted in its features. Paid users have access to the site’s complete suite of features. While CyberGhost has reasonable security, its lack of features, inability to use more than one device simultaneously, and slow speeds make it a weak option compared to other VPN services. CyberGhost’s free service and inexpensive premium service make it a possible option for VPN users on a tight budget. However, if possible, you should look to another VPN service with more functionality. CyberGhost’s poor connection speeds make it a bad option for those who use Netflix or other streaming services. Due to CyberGhost’s slow speeds and relative lack of options, those looking for streaming functionality are better off looking elsewhere. CyberGhost offers adequate customer support, though it is not as good as NordVPN or other, more expensive VPN services. Due to CyberGhost’s limited customer support, CyberGhost Premium is not advised for newbies or anyone else unfamiliar with how VPNs works. CyberGhost’s only real selling point is its low price, with users able to pay $30 per year for the Premium version of the software or use the free, ad-supported version. However, you get what you pay for, and on almost every front, both the free and paid versions of CyberGhost are inadequate compared to their competition. CyberGhost’s confusing and opaque interface make configuring it a chore for all but VPN experts, and the relative lack of documentation in the site’s support section doesn’t help. Making matters worse, the service’s sluggish speeds (on both free and Premium versions) make using it a time-wasting pain for anything other than the most basic of Internet tasks. Both versions of CyberGhost lack basic, fundamental features that their competitors readily boast, such as multiple simultaneous connections and different types of protocols, meaning that power users and specialist users will get little out of either version of the service. CyberGhost’s security, while adequate, fails to distinguish itself in any way, and the site’s small number of servers means that those who are looking to remain as undetectable as possible are unlikely to be able to get much use out of their VPNs. Finally, CyberGhost is a poor choice for non-North American and non-European users, as the service has a decided lack of servers outside of those two continents, making getting a stable and fast connection difficult. Ultimately, CyberGhost’s free service is only really recommended for those who only occasionally need a VPN, while its Premium service can only be recommended to those on very tight budgets. Everyone else should choose a different option for their VPN needs. NordVPN is one of the most prolific VPNs, offering high speeds, a strong feature set, and good security for a reasonable price. While not the best when it comes to streaming video, NordVPN’s fast speeds and reliable uptime allow for users to do just about everything else easily and quickly. Additionally, NordVPN’s suite of features and security protection make it a good option for general VPN users who want private Internet browsing without having to get too involved with technical details. Overall, NordVPN is an ideal VPN service for the average VPN user as well as users who are on a budget. While not specifically designed for streaming, NordVPN offers reasonable speeds that make using Netflix and other streaming services relatively easy. 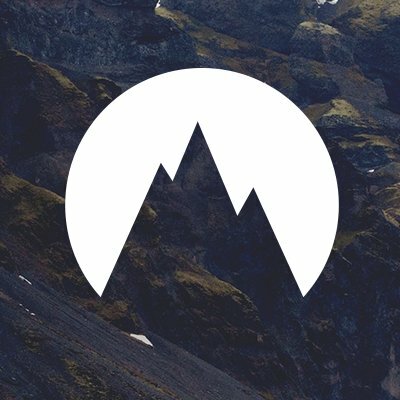 NordVPN offers some of the finest customer service in the VPN industry. For users looking for a mix of features, speed, and security at a reasonable price, NordVPN is your best bet. 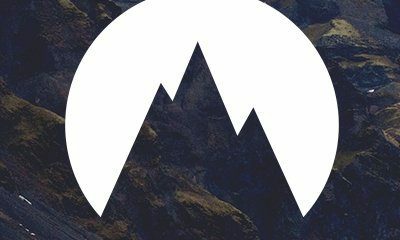 NordVPN’s relatively low price of $69 per year is an absolute steal considering its feature set, making it ideal for average VPN users who aren’t in need of specialized features. While not the fastest VPN service, NordVPN is still quite fast and ideal for most Internet functions, and its specialized streaming servers are a good option for those who use Netflix and other similar services. Additionally, its security features are quite extensive, and its location in Panama ensures that its policy of not logging its users activities will actually be enforced, making NordVPN an ideal option for users who want to leave no traces online. That said, those who want to be truly undetectable might be put off by its relative lack of servers and data centers. Users who are in dire need of a streaming-optimized VPN service would be advised to go with ExpressVPN if they can afford it, due to its faster streaming speeds, though NordVPN will suffice for casual users. Additionally, those who need specialized VPN protocols will likely not be satisfied with NordVPN’s relative lack of features in this department. However, for the casual VPN user, who merely wants a way to browse the Internet securely and privately, NordVPN’s reasonable price, number of features, clean interface, and strong security make it a highly recommended option.